Are you Sick & Tired of Struggling to put up Hundreds of String Lights During Holidays? If so, We Have the Perfect Solution for You- OUR LASER PROJECTOR LIGHTS are Extremely Easy to Install! It will ILLUMINATE YOUR Entire Landscape or House with ONE TOUCH of the Remote Control. UP to 625 SQ OF COVERAGE with 1 LIGHT. Timer Feature turns the light on automatically for 6 hours every day at the time you choose. 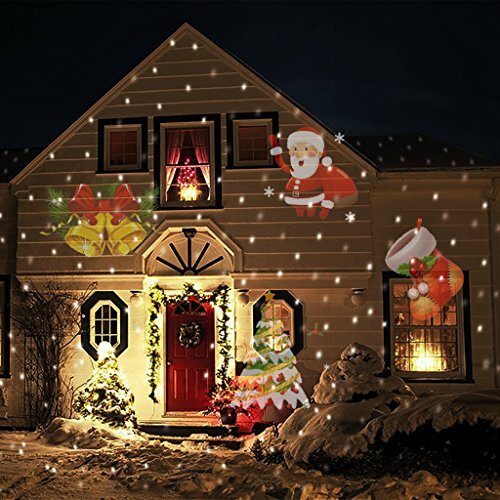 SAY GOODBYE TO HIGH ENERGY BILLS AFTER THE HOLIDAYS- Laser Lights Uses only 5 Watts of Power. That's just Pennies Of Electricity for the Entire Holiday Season! WORKS IN -4 F TO 104 F TEMPERATURES- Covers huge areas with 1000' points of moving lights- Your Neighbors will Secretly Envy Your Yard! NEVER AGAIN WILL YOU USE A LADDER TO HANG HUNDREDS OF STRING LIGHTS! STURDY WATERPROOF ALUMINUM CONSTRUCTION TO WITHSTAND RAIN, SNOW, EXTREME HOT OR COLD TEMPERATURES. If you have any questions about this product by Clear Innovations, LTD., contact us by completing and submitting the form below. If you are looking for a specif part number, please include it with your message.